If you are in the market for the best vacuum cleaner from Hoover, but you can’t spare the time to do your own research, we believe we might assist you in getting the right model. Following several weeks where we’ve looked at anything from sales figures to hundreds of user reviews, we’ve concluded that the product you ought to take into account is the Hoover CH30000. This alternative is a lightweight and easy-to-use option which enables you to carry it conveniently and comfortably. The canister vac can be utilized for a variety of surfaces and in a wide array of places, especially as it is equipped with a 33’ SJT cable. Thanks to its design, you can use this unit to clean your upholsteries in your home and even those in your car. In case the CH30000 is no longer available, we suggest considering the Hoover UH3001COM. Equipped with several attachments and featuring a compact design, this vacuum will not only help you keep your home as clean as a whistle but will make sure doing so is an easy task. The unit can be stored and carried with ease and can be used both as a vacuum and as a blower. The cable has a length of 33 feet so you can cover a greater area. At least one user says the hose does not stay in whereas other buyers say the suction power is dissatisfying. If you’re in need of a compact vacuum with a blower included, this model might be right up your alley. 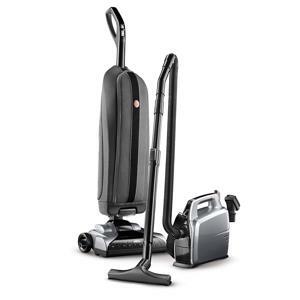 Portability and high power are the benefits you get to enjoy with this vacuum. It is also versatile as it can be used to clean anything from floors to draperies. Due to its canister design, the unit promises to be more effective than other models when capturing allergens. 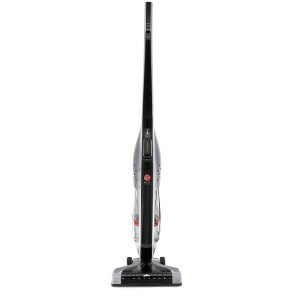 Although it is a full-size vacuum, it weighs less than 12 lbs. The unit might be too big to get under furniture according to one user. Check the product dimensions before buying. 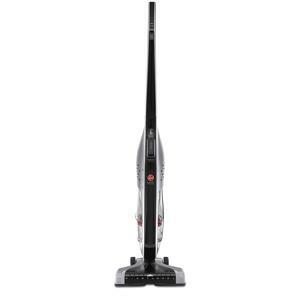 Consider this model if you are on the lookout for a full-size vacuum that is easy to use and powerful. If ease of use and portability are the features you are interested in, then this model should not be ignored as it will provide you with such benefits. The cord-free design will allow you to reach a greater variety of places whereas the controls can be accessed and used with ease. The brush roll will help you lift deep down dirt from various surfaces. The charger of this unit did not last too long, as a few buyers mention in the online reviews we have found. You might want to try this vacuum if you want a portable, easy-to-use, and powerful unit. While you might have taken the time to go through as many Hoover vacuum cleaner reviews as possible, you might not have been able to discover the absolute best Hoover vacuum cleaner. If this is the first vac you’re getting, perhaps you should take the time to go through the guide below as it is packed with the essential aspects that you ought to bear in mind. To make an informed decision, we invite you to spend a couple of minutes reading this guide as it can, without a doubt, help you understand what your needs and preferences really are. 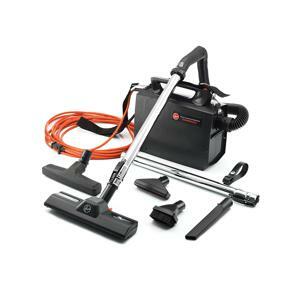 Most Hoover vacuums for sale nowadays are corded, but there are several choices such as the BH50010 or the BH50111. With these models, you will not be encumbered by a too short power cable or by having to use extension cables all the time. You will be able to take the vac from one room to the next and continue cleaning the floors seamlessly. However, there is a notable drawback to choosing a cordless alternative, and it consists of the fact that these models aren’t capable of serving you for more than forty minutes, and that’s if they’re particularly good Hoover vacuums. In fact, the runtime of most cord-free options is about twenty to forty minutes. Following this time span, you will be required to charge the vacuum in its dock for as many as four hours or even more. One of the crucial factors you should take into account is your comfort and what you feel at ease with using. For instance, such people, like the author of this article, loathe canister vacuums, especially those that weigh a lot. On the other hand, most canister vacuums are better at capturing allergens and debris and dust, which is why they are recommended to people with asthma. Stick vacuums are easy to work with, but many of them have a head that won’t allow you to clean areas like under your bed. Handheld vacs are great for people who need a smart solution for the occasional kibble spill, or for when they want to vacuum the upholstery of their cars. Lifting heavy things might not be a nuisance for people whose physical strength and skills don’t make them feel uncomfortable while doing so. However, some individuals actually have medical conditions that prevent them from lifting overly heavy things. Therefore, the weight of the unit needs to be given some thought to before you decide on your final purchase. Its size matters when it comes to storage, as you need to place the vacuum in a spot that it can fit. And finally, enhanced usability comes from a product that’s equipped with all of the features you want from it, such as a good array of attachments, a long enough power cord if it’s corded, and a HEPA filter if you have allergies or asthma. From what we have gathered by going through many reviews of Hoover vacuums, it seems that the following models are worthy of your consideration. So, if you have a couple of minutes to spare, we suggest you have a look at them. If you aren’t looking to break the bank, this model should be right up your alley. It’s considerably more affordable compared to others, but that does not make it any less capable of doing its job. In fact, this unit comes accompanied by a series of attachments you might fail to find with other choices. The compact design of the CH30000 will enable you to store and carry it with ease, and keep it in the trunk of your car if you have no other spot available for it. You can use the unit both as a vac and as a blower, as the latter is built into the cleaning machine. Another rather neat thing about this particular model is that it comes with a cable length of 33’ and the hose can be stretched as per your needs. Therefore, even if you do not choose to use extension cords, you’ll still be able to power this vac properly. The best thing about this Hoover model is that it is portable, yet powerful enough to get the job done. Moreover, it will assist you in cleaning anything from your floors to your draperies and upholstery. As this is a canister vacuum, it is far better at capturing allergens, pollen, and dust compared to other types of vacs. Besides, it even comes with HEPA bags, and HEPA is one of the filters you should definitely look for if you have allergies or asthma. The product weighs just under 12 pounds, which means that it is reasonably lightweight for a full-size vacuum. It seems that the UH3001COM is one of the most durable alternatives in this line as there have been customers who have reviewed it and according to whom they had been using it for over six years without a single problem. This is a corded vac that boasts a good deal of intuitive controls. Unlike the other two products we have showcased in this particular selection, this Hoover model is different, which is to say that it is cord-free. It is one of the most convenient electric brooms ever to have seen the light of day, as it comes with a powered brush roll and it has easy-to-use controls that can be pressed right under the owner’s fingertips. 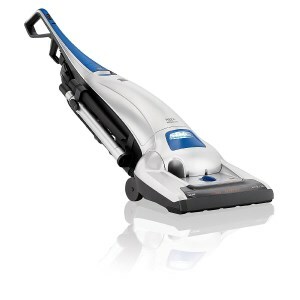 Moreover, the cleaning head of this choice is slightly wider compared to that of other products; this means that it will assist you in saving a bit of time by shortening the number of minutes you have to spend cleaning the same surface as you would if you were to use a vacuum with a smaller head. The bottom release dirt cup ensures a hassle-free cleanup so that you don’t even have to get your hands dirty. Keep in mind that, although the vac does do a good job at what it’s supposed to, you might end up with a sneezing fit when emptying the dust cup.